The Broke and the Bookish : Top Ten Tuesday Rewind! 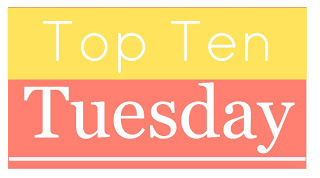 To learn more about Top Ten Tuesday or see a list of future topics click here! This week is a Rewind so Kimberly and I decided to just do a Freebie and talk about dead authors and characters we wish had Twitter accounts! Which authors/characters would you love to have a Twitter account? 1. Dorothy Parker--I think she would totally rock Twitter with all of her fabulous one-liners and quippy remarks. Parker embodied the phrase "brevity is the soul of wit." She knew how to turn a phrase. She had an interesting outlook on life and I think would have been very interesting to follow...kind of in the gallows humor kind of way. 2. Ernest Hemingway--His wry observations on life and a record of his travels to bullfights and safaris in Africa would be super interesting to read. I could totally see him saying something abrasive and controversial and getting embroiled in a major storm. And it would be great. 3. Hunter S. Thompson--His tweets would probably be a bit convoluted on account of the drugs, but I think that they would be very interesting. Especially when I think about live-tweeting Fear and Loathing in Las Vegas. He was a great commentator on events in America during a time of great social change and I think that seeing his unedited opinions on things would have made for some great reading. 4. Holly Golightly--I don't know that she'd be the best at Twitter--I could see her updating every now and then--but I think her tweets would be interesting. 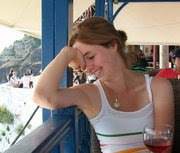 I think that Holly lived a difficult, but interesting life with all of those parties and adventures. I admire her ability and willingness to just pick up and leave whenever the room got a little hostile. 5. Oscar Wilde--I haven't read much by Wilde, but he's another one who made these great, wry comments about life and people, so I think he would be worth following. I think he would have a lot to say about culture, art, and food--which would make him rather versatile. 1. C.S. Lewis- I'm watching the second Chronicles of Narnia as I type this... I love his little bits of inspiration that are sprinkled throughout his novels, I feel like seeing tweets from him in my twitter feed would make me smile on a daily basis. 2. 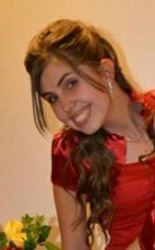 Cress (The Lunar Chronicles)- Cress is hilarious. And spastic. I want to see what she'd tweet. I think I'd spend most my time laughing. 4. A (every day)- Just imagine the insight we'd have to A's life! And the diverse type of tweets we'd see! Actually, I think I heard a rumor that there was a twitter account for A... I should check on that. 5. J. R. R. Tolkien- Now, he might have had a difficult time sticking to the character limit, but I feel like seeing tweets from him would have made my day. Oh my. An Oscar Wilde twitter account? All witty and wry... I'd follow him! This is such a good one to think about. I would be obsessed with reading A's twitter. Just think of the suspense of wondering who A would wake up in each day. LOL @ J.R.R. Tolkien. I also think he would have a hard time sticking to the 160 char limit! A Twitter account for A from Every Day would be awesome! I know there's an account for The Lover's Dictionary, but I haven't seen one for A. You must share if you discover one! An Oscar Wilde Twitter account could be so great! I would also love C.S. Lewis on Twitter! A for sure - that would be amazing to see what each day is live live tweeted. A would be SO cool. And I would love to get into the heads of all these classic authors. I'd follow all of them! It might be out of character for her to have one, BUT what of she did? What would we see? That's what inspired me to put her on the list. Wilde and Tolkien! YES. Wilde could be so sassy, fun, and entertaining. I'd imagine him as a bit more of a philosophical Maureen Johnson. Tolkien would create twitter stories because, let's face it, he can't stick in any sort of limit! I decided to do the words/topics that make me pick up a book since I missed it the first time around. It was a lot of fun and way easier than I thought it'd be. It was fun to read your post! There are so many authors who would be awesome to see on Twitter! I have chosen: Top Ten Most Memorable Secondary Characters since I only joined after this prompt. I always enjoy the topics. Thank you very much. Great topic. I think tweets from Hemingway, Cress, and C.S. Lewis would be neat. I opted to go with the topic of Top Ten Books I Can't Believe I've Never Read. God, I'd pay to read Hemingway's, Wilde's, Lewis' and Tolkien's tweets! The prompt is pretty cool, I should make a post about it too some time, but for this time (my first, wheee) I chose Top Ten Fictional Crushes, I thought that's a nice one to start with. Interesting topic choice--I wonder how Tolkien would have taken to all this Technology. He wouldn't even release his books until the entire series was written (40 years). I just can't imagine him tweeting anything--because he never said anything briefly. He was very "Entish"
This is a great list, and an interesting topic to write about! I think that it would be great if Hazel could have a twitter as well, though I think that you are right in saying that it would probably be very much like John Green's! Oscar Wilde would have been awesome. C.S. Lewis would brighten my days. Great List!